It may be time to sit down with your salmon and have a talk about drug abuse. 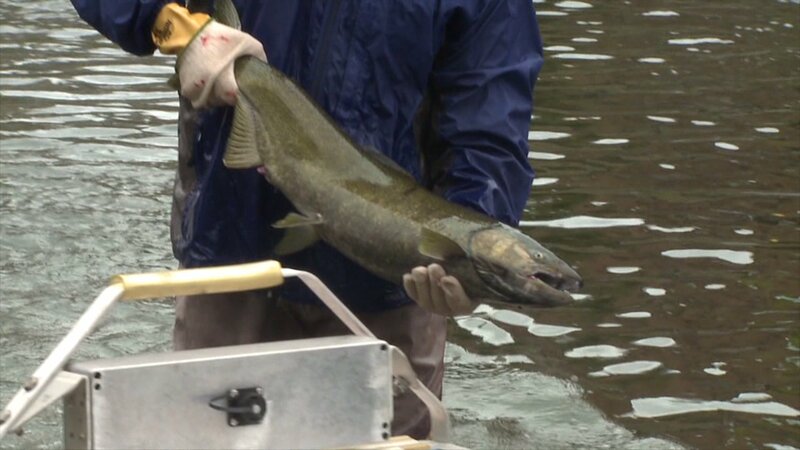 Researchers found cocaine, Advil, Prozac, Lipitor, Benadryl and dozens of other drugs in the tissue of juvenile chinook salmon caught in the Puget Sound in September 2014, the Seattle Times reported in February. The salmon likely picked up the drugs from wastewater in the area that's a "[cocktail] of 81 drugs," as the Seattle Times put it. Read more: Scientists in Chile Just Turned a Chicken Into a Half-Dinosaur. Welcome to 2016. Other drugs found in the wastewater include (but aren't limited to): Aleve, Flonase, Paxil, Tylenol, Tagamet, Valium, Zoloft, Darvon, OxyContin, caffeine, nicotine fungicides, antiseptics, anticoagulants, Cipro and other "antibiotics galore," the Seattle Times reported. Sounds like one hell of a ride for the salmon. "The concentrations in effluent [sewage water] were higher than we expected," Jim Meador, an environmental toxicologist at the National Oceanic and Atmospheric Administration and a lead author of the study of the contaminants found in the Puget, told the Seattle Times. "We analyzed samples for 150 compounds and we had 61% of them detected in effluent. So we know these are going into the estuaries." The drugs found likely won't affect human health, Meador said, because most people don't eat juvenile chinook salmon or sculpin, another fish in the Sound that tested positive for drugs. There are 106 wastewater treatment plants in the Puget Sound that empty to local water, the Seattle Times reported. While the treatment plant system is "doing its best" to decontaminate the water, Betsy Cooper, permit administrator for King County's Wastewater Treatment Division, told the Seattle Times "not everything goes away." Ongoing research being conducted at the facilities will hopefully help the team understand how to rid the water of these chemicals.